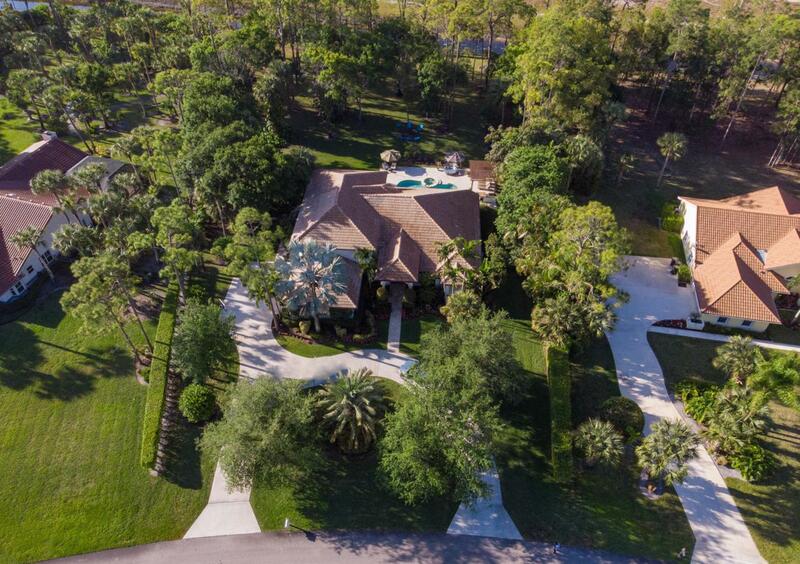 This breathtaking custom estate home situated on 1.23 acre lot in prestigious Paddock Park with No HOA and ''A'' rated schools is perfect for the most discerning individual. 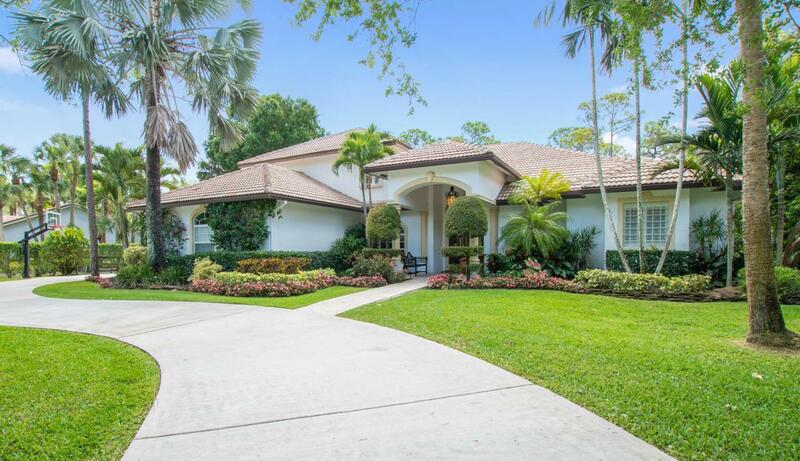 Four Bedrooms, 3 Bath, H\''His'' and ''Hers'' Offices, two story pool home with a 3 car garage boasts quality workmanship and unique appointments throughout. One Office is technically a 5th Bedroom but is currently used as an Office.A large circular drive and exquisite glass doors welcome you into the elegant foyer, formal living and dining room offering incredible pool views with an abundance of light. Beautiful marble and 5/8" Maple Wood floors throughout, as well as, custom plantation shutters and window coverings. Professional Chef's kitchen and family room feature the utmost balance of beauty and functionality, superb for serious cooking and informal gatherings with family and friends - featuring Subzero refrigerator and freezer, MIELE appliances. 2 dishwashers, 2 convection ovens, steamer, warming drawer, plumbed coffee maker, Induction cook top,Pot Filler, trash compactor, striking copper farm sink and pantry. Kitchen opens to a cozy breakfast nook and large family room with a spectacular stone accent wall. First floor Master suite luxuries include sitting area, 2 well designed large walk-in closets. The elegant marble bathroom complete with exquisite Watermark crystal and brushed nickel fixtures and 6 Head Shower create a true spa experience. The second floor bedrooms and large loft area with additional insulation are a quiet retreat for your family. 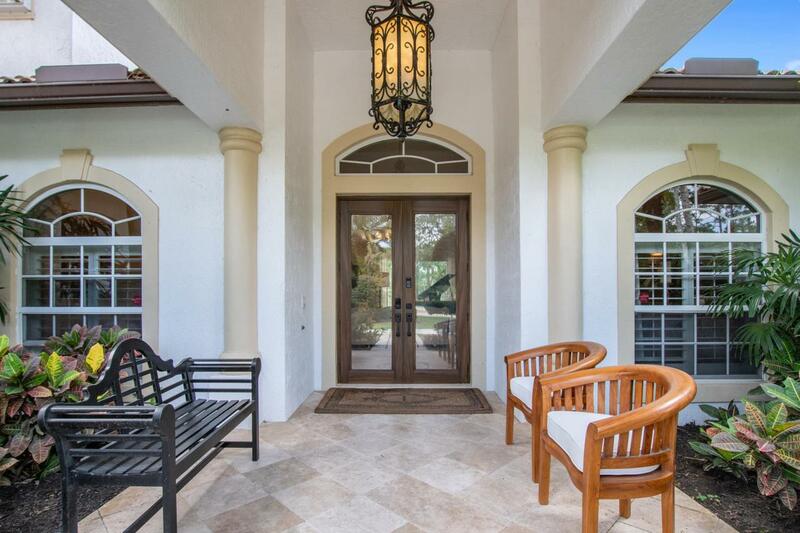 Enjoy the private outdoor Oasis with stunning views from the large covered patio with retractable screens that open onto large sun deck overlooking the resort style heated pool, Pergola and grilling area overlooking magnificent fenced property. A generator, hurricane impact windows and accordion shutters, reverse osmosis water system, high efficiency A/C and Water Heater complete this magnificent home. All information per owner and tax rolls deemed reliable but not guaranteed.